Senator Kirsten Gillibrand who until recently made her home on Mt Merino in Greenport just outside Hudson, has endorsed Democratic and Working Families Candidate Nick Haddad to be Hudson's next Mayor. "Hudson needs a Mayor who has the business experience and management skills to attract new business, foster and expand the businesses that exist today and to develop Hudson's greatest asset, its waterfront. Nick Haddad has just those skills. Nick will build upon Hudson's strengths and get Hudson back to work. I look forward to working with Nick as Hudson's next Mayor." “Having lived here Senator Gillibrand really knows Hudson, she understands our city and what it needs to reach its full potential. So I am humbled and honored to receive her endorsement." 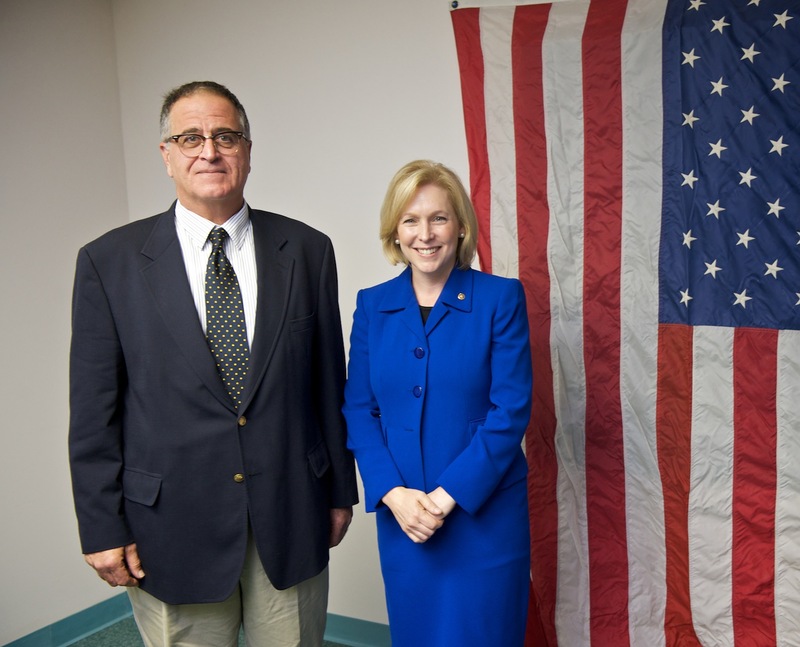 "We are so proud of Senator Gillibrand and thrilled that she remains as engaged in Hudson and Columbia County as ever. She sees what we have been saying all along, that Nick Haddad is the right person to take Hudson forward. We sincerely appreciate the Senator's endorsement and support". The Columbia Paper Endorses Dr. George Davis.